Can I just say, I am so pumped this worked. Plus this doesn't HAVE to be a Valentine; it could work for birthdays, anniversaries, baby showers... well, maybe not baby showers. But maybe baby showers? 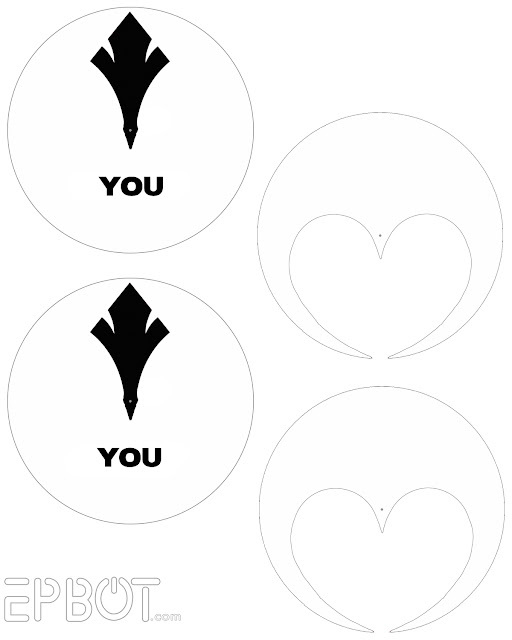 Or, since the spinner section is made separately, you could add just that part to a card you make yourself. I originally sketched this as a necklace, but almost immediately hit some roadblocks in the skills department - or lack of skills department, I should say. 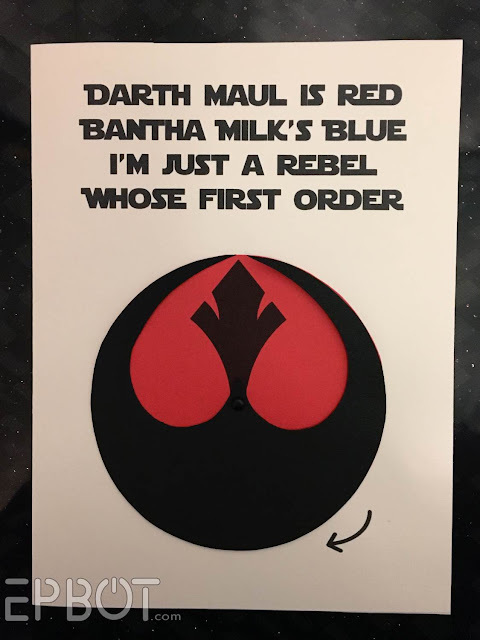 I love the idea of a heart hidden inside the Rebel symbol, though, so don't be surprised if I revisit this idea later. For now, though, LET'S MAKE SOME CARDS. Mine came in a multi-color pack from the scrap-booking aisle in JoAnn's. So first, print out my two page template from the bottom of this post. Print the text page on white, and the circle page on red. 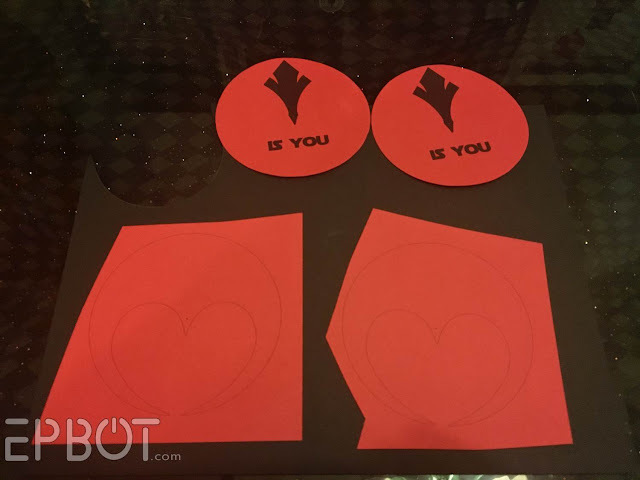 There are two of each template on the red page, enough to make two cards. If you're just making one card, though, don't bother cutting out the duplicates. 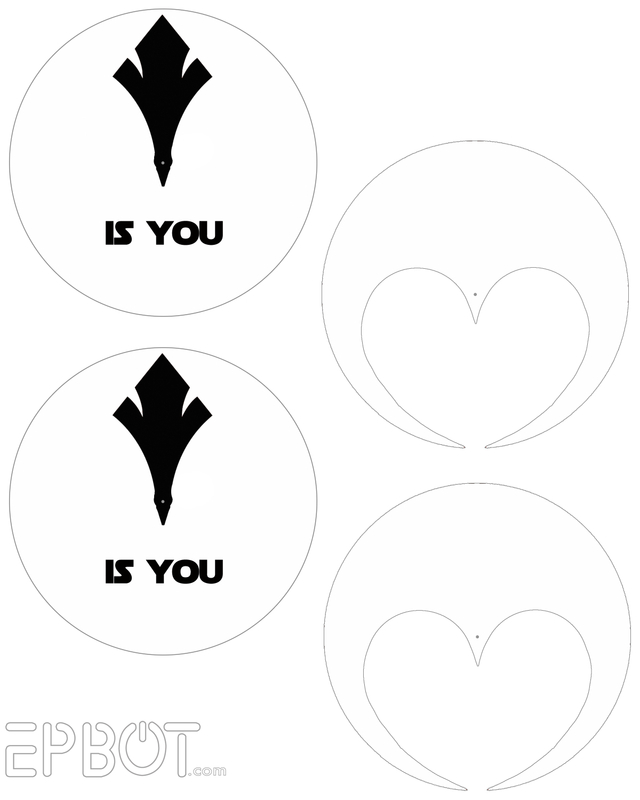 Let that dry while you cut out the "Is You" circle(s). 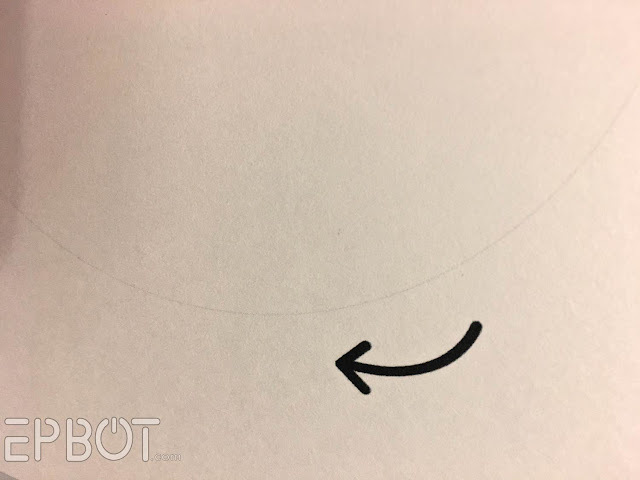 Use a thumbtack (or small nail) to poke through that guide mark in the center. Your glue should be dry enough by now, so go back and cut out the heart template from the black card stock. 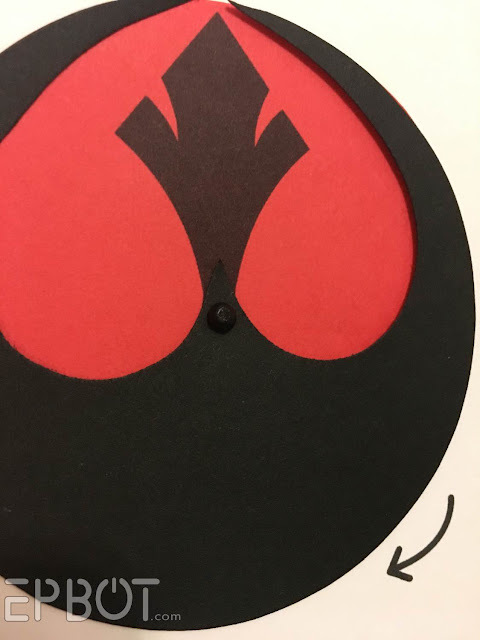 Flip it over to the red side, and poke a hole through that guide mark, too. Ahhh, but remember I said something about an alternate poem? I'm just not wild about the Darth Maul line, to be honest, and my initial draft, "Crait dirt is red," was confusing, since most fans don't know that planet name. Yes I'm terrible. But it's funny, right? Right? Guys? 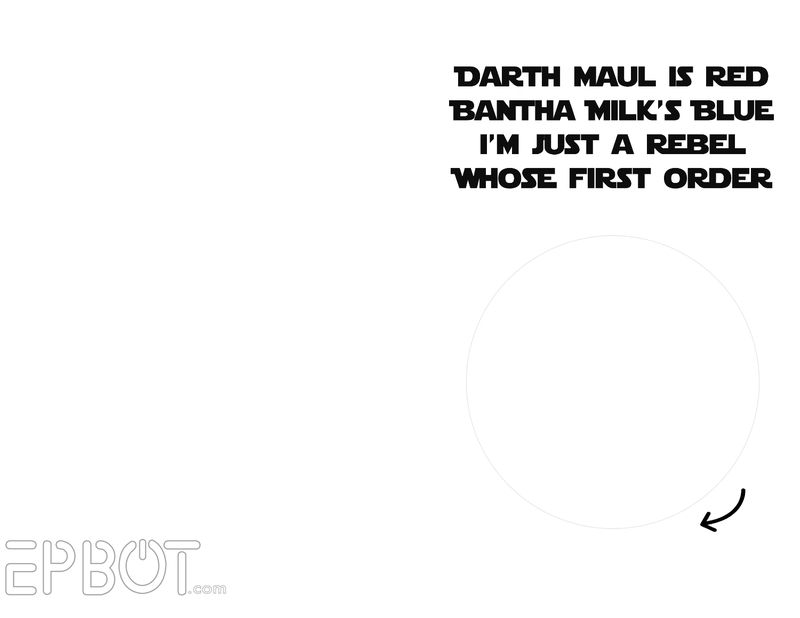 Well, anyway, there you go: an extra option for Porg haters and/or those of us whose humor is on the Dark Side. Unless you're worried about fitting a standard A4 envelope, I prefer it this size. Just a little less dead space. Oh, and if you've been with me for a while and want to see me and John keep doing what we're doing - ie, all the free tutorials and photos and general sharing of stuff - then maybe consider throwing a few bucks our way each month over there in the side bar, the one that says "Epbot Is How I Feed My Cats." You can also support us for free by shopping through our Amazon link, or by just sharing my posts on social media, which is honestly the best compliment you can give a blogger these days. I dream of a day when I can rip every ad off this site and still keep offering everything for free - no pay-walls or tier-subscriptions or locking away exclusive content. That's probably a long way off yet, but every dollar you guys pledge brings it a little closer, so thank you. 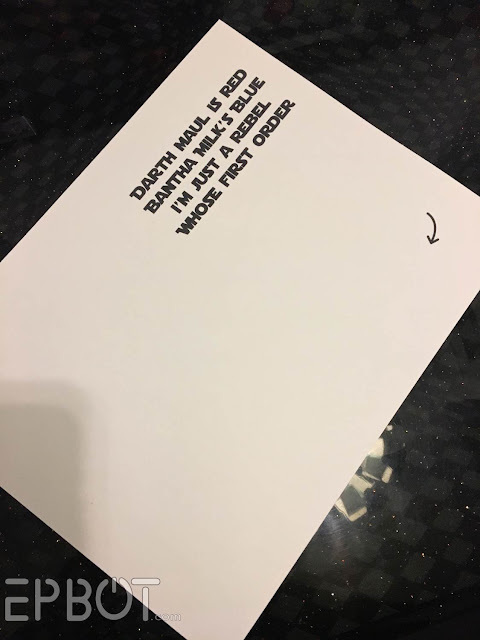 See how I made you read all that to get to the templates you need? I'm sneaky and SUPER subtle like that. Click each one to embiggen, then right-click and save to your desktop. I'm open to alternate poems, by the way, so if you have a better "red" line, lemme hear it in the comments! 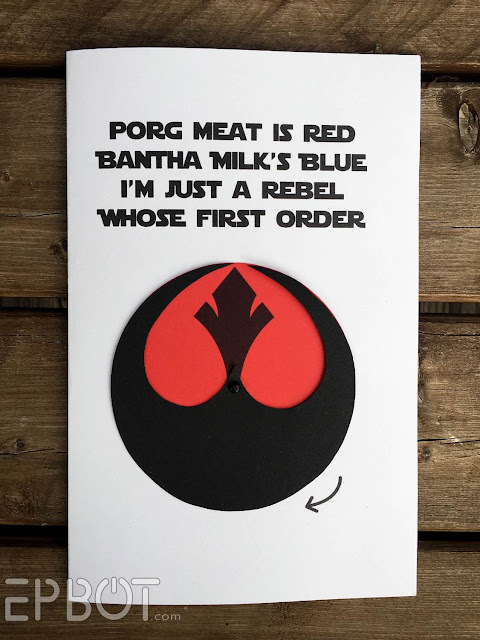 You know, along with whether I'm the only person awful enough to laugh over "porg meat." 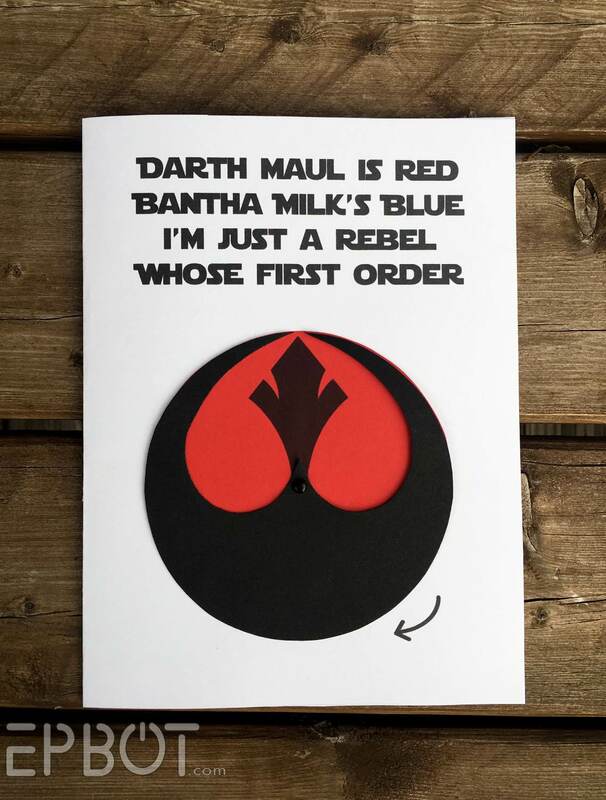 I really like the (literal) twist in this one, since at first it looks like you'd rather have the Rebellion, but then, nope! ROMANCE. Hee! Thanks, KatyJo! Want more? Then go check out my Craft Page for over 150 fun projects and tutorials like these! 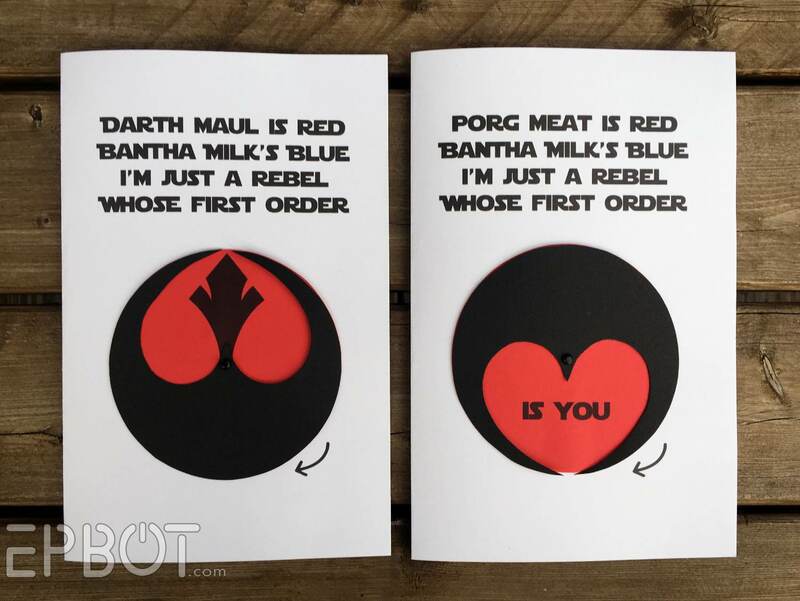 I laughed at the Porg meat line. And I love Porgs. This is awesome. Porg meat is funny but Crait dirt separates the men from the boys as far as superfanship goes. That gets my vote. This is so cool! It could also be fun to do the "I love you" at the top with "I know" as the hidden part, even if that exchange is maybe a little overused. I love the whole concept so much, though! As a porg enthusiast...I think that's hilarious! And what an inspired idea with the heart, so clever. 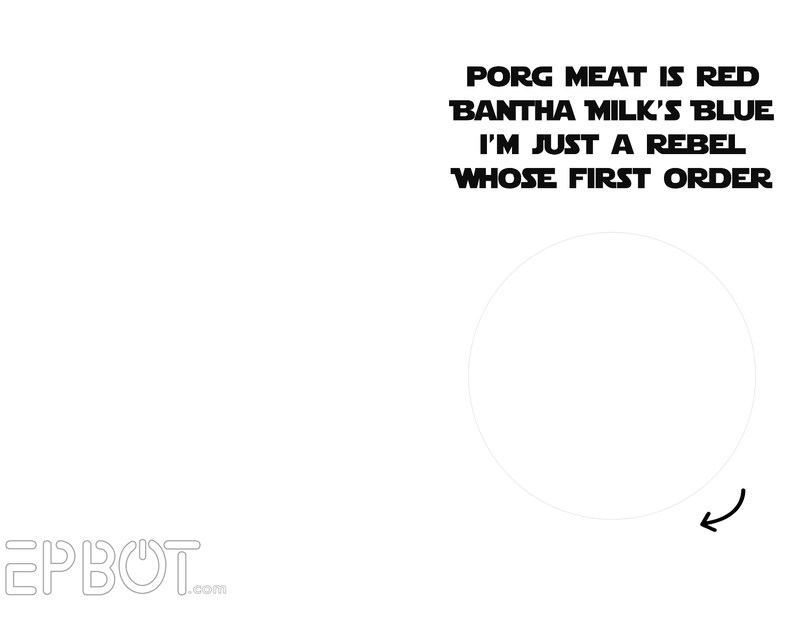 Still trying to think of potential other non-dead-porg fits though. Hmmm C-3P's arm is red? Rey's Speeder is Red? These are just SO. AWESOME. I always use the CW link for Amazon (and I might have an Amazon problem...) and I tell everyone about all the cool stuff on both sites! You guys are the best!!! 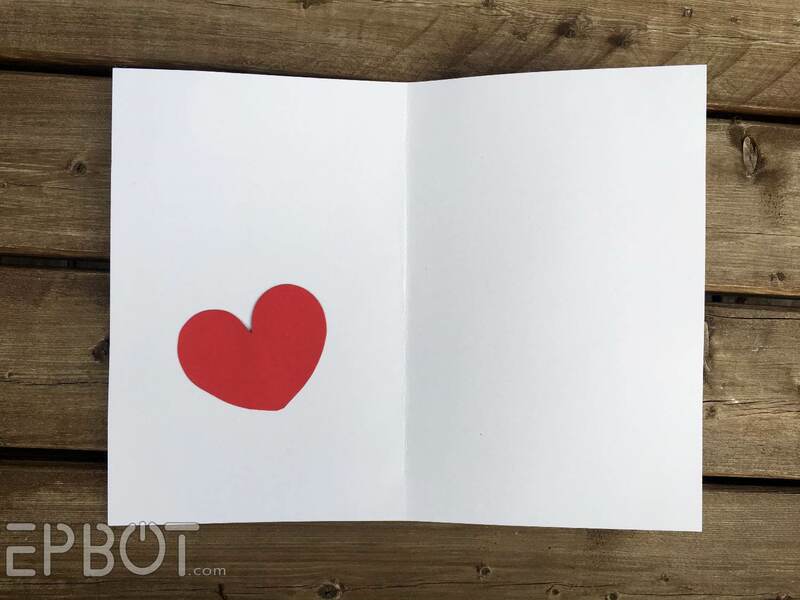 I love the card and KatyJo's suggested poem! 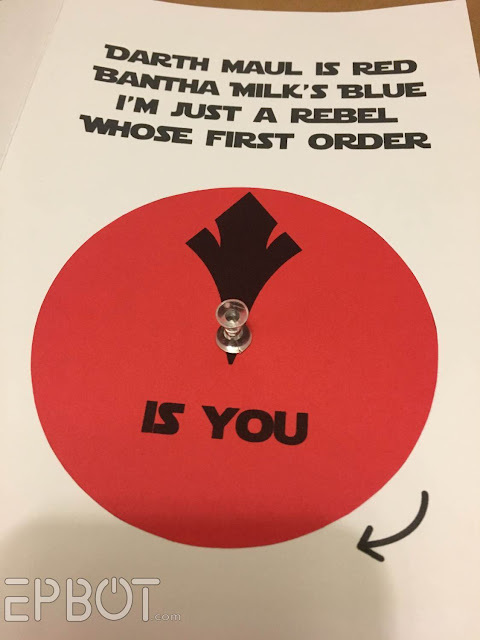 I was trying to think of how to use the red to reference the Empire and I think she's got it! Sith 'sabers are red, maybe? 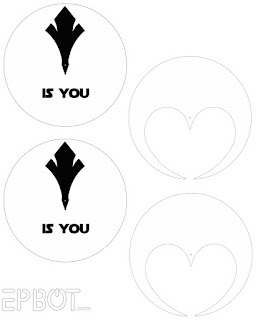 What a great idea with the rotating heart! Oh goodness, these are fantastic! Even as a porg lover, I got a good laugh out of that version. 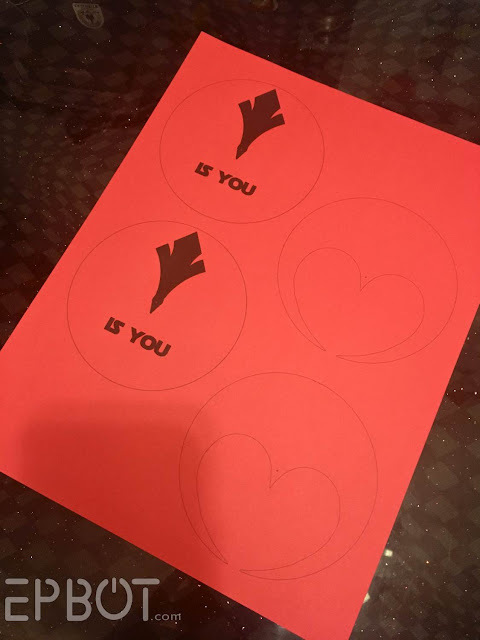 Wish I had a valentine to make one for, but I might just have to make one and give it to my mom or something, because those are so fun. Have you ever considered signing up with Patreon for support? As someone who doesn't have a paypal account (I know, in this day and age?! ), supporting through that isn't really an option for me. I try to remember to use your link every time I shop on amazon, but I'd like to do more. Patreon might be a option to look into. Thanks, Laura! And re: Patreon, we consider it about every 3 months, ha. I think they even reached out to us personally at one point and asked us to sign up with Cake Wrecks. I have a lot of hesitations in taking on such a big commitment, and I worry about having no tangible rewards for you guys - and I don't want to lock away exclusive content, for both your sakes AND mine. That said, I know that cutting out ads and being supported directly by readers is the only viable way forward, so nothing's off the table. 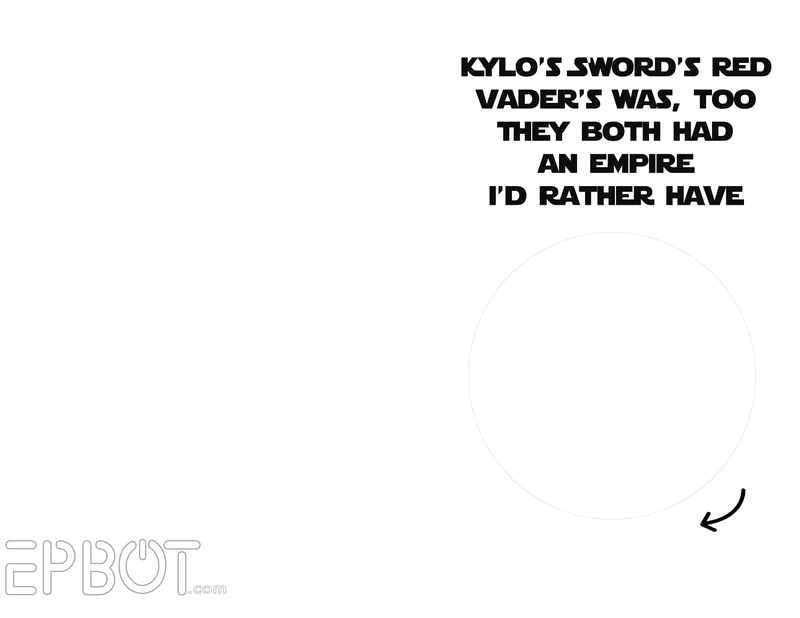 And the more votes I get for Patreon, of course the more seriously we'll consider it! Another vote for Patreon, here! Even without exclusive content, or something as simple as "here's a sneak peek photo of an upcoming post," I find it a lot more convenient to add a dollar or two on to my monthly Patreon payment than try to keep track of which creators I've given to lately and how much, etc. Ahhh, Porg meat had me loling!! My honey is in love with the lil porgies so this must be his v-day card for sure. Thank you very much!! OH, yes! Please do this! I'm amazed at some of the items for sale on Amazon. And even more amazed at the items in my order history! 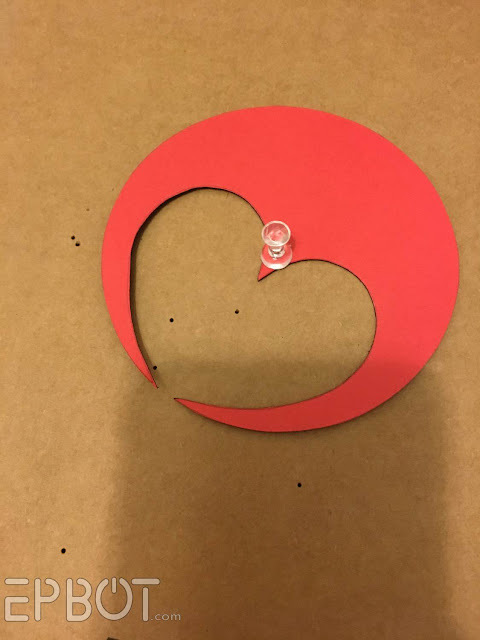 Just swapped from Cake wreaks to Epbot and that heart looks like a bare botty. Its all those poo wang butterfly ladygardens!! 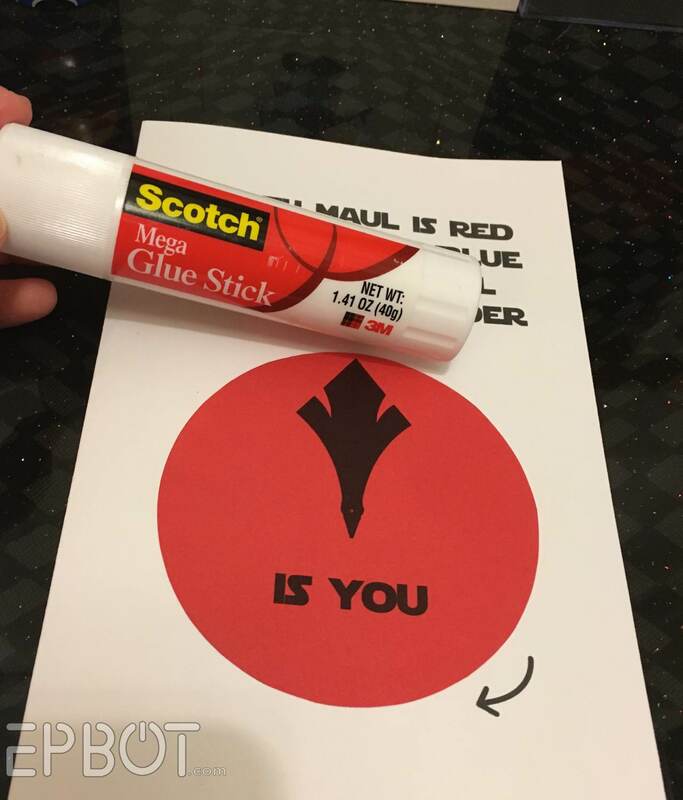 Yay for another craft tutorial!!!! I'm not sure which poem I like best. *reads your notes about the Amazon links* Um... *awkwardly fidgets with a lock of my hair* Thank you for reminding me of one of my reason why I should get a job! :-D Can't support your awesomeness if I don't even have money to do it with yet, Lol. 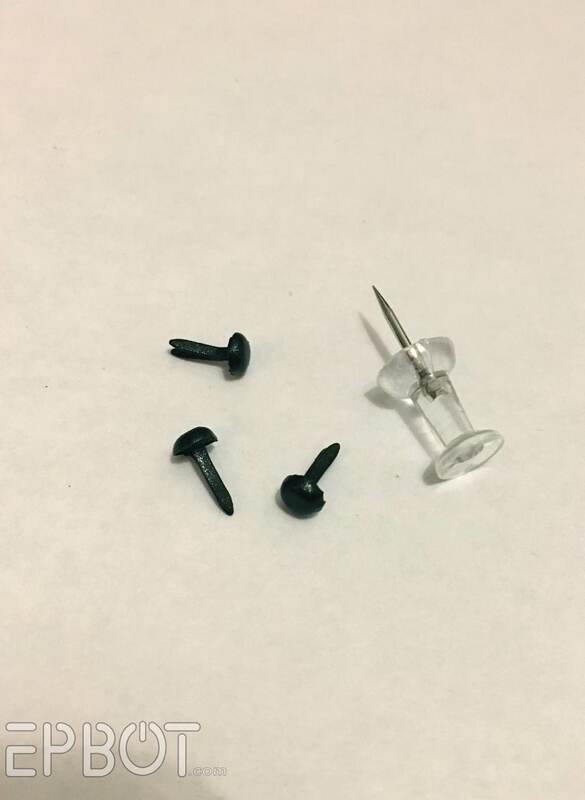 As for a necklace, couldn't you take a couple of metal blanks, paint them, cut the shape on one and rivet them together so that they would spin? Do you and John have the tools for this? Maybe the Dremel would work. Love you ideas! We normaly don't do anything for Valentines, but this year I just might have to! We've successfully created a tiny Star Wars fan, so our house is full of everything Star Wars these days. And I second (tirth?, twentyfivend?) the vote for Patreon. We don't need any special rewards. If Patreon demands you have rewards you can send out thank-you e-mails, or sneak peak photos, like others sugested. I would pay money for a "Diagona pie is red" one. :D Fabulous tutorial, thank you! 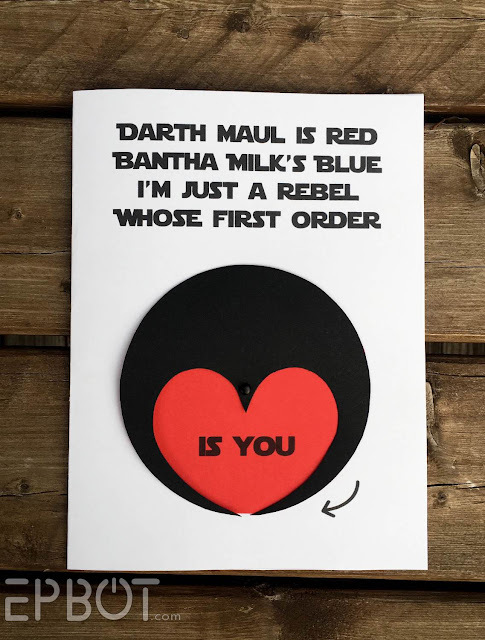 Jen- I made the Valentine for my Star Wars hubby and he was thrilled! 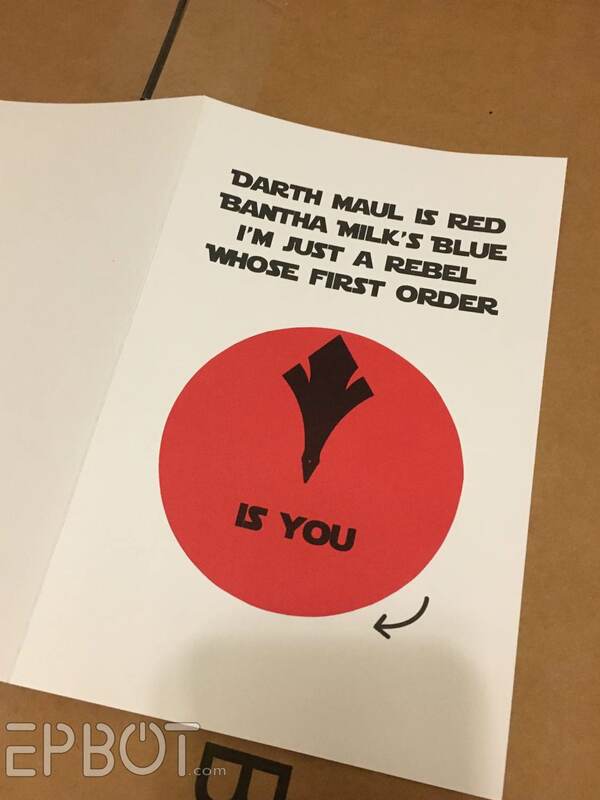 Grinned from ear to ear and said it was the best Valentine card ever! Thanks so much for the tutorial.